Twenty years is a long time, during which new ideas can turn into credible institutions, and January 1999 saw the birth of some belters. We saw the beginnings of such timeless classics as the career of Britney Spears, and the Euro currency. Such marvellous creations that have perfectly stood the test of time. 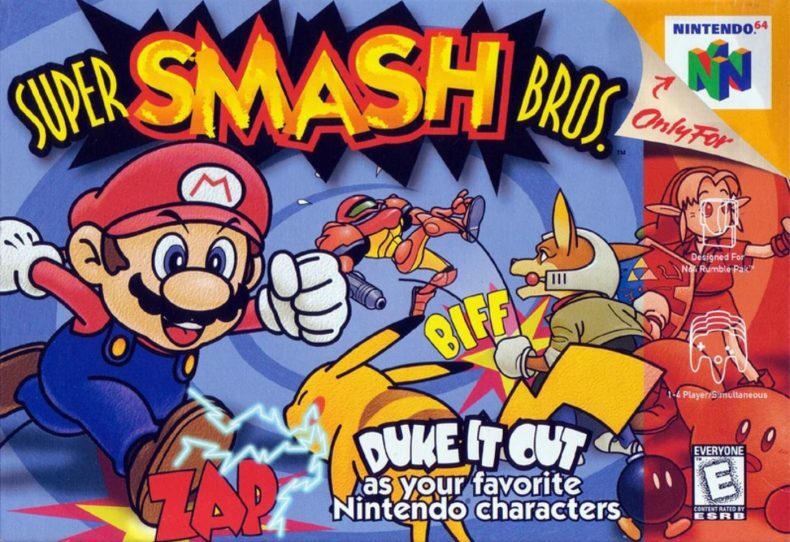 Well, thankfully we also saw the introduction of a gaming franchise that has gone from strength to strength in the past two decades, as the original Super Smash Bros. for the Nintendo 64 launched in Japan in January 1999. It’s hard to imagine that before then, the concept of punching Mario in the face had remained a pipe-dream for many – pun intended (I apologise on behalf of Chris – Ed). Few would have predicted so many of us (outside of Maths geeks like me) would become so preoccupied with percentages in a game, and favour characters shooting off-screen rather than staying firmly in the centre of them. But we get ahead of ourselves a little. I remember 20 years ago (perhaps rather too vividly thanks to me being already a teenager by then) feeling somewhat appalled at the notion that this game, then called Nintendo All Star! Dairantō Smash Brothers in Japan, was even being considered. In my eyes it was sacrilege to not only crossover all these distinctly different characters from various franchises into a single game, but to do it purely for a 2D beat-em-up title? That felt like a shameless cash-in that at the time I deplored Nintendo for. I dismissed what was likely to follow as a sub-par experience, that if we were all lucky would pass by unnoticed and be forgotten by the inevitable passing of time. How wrong I was. Whilst on the surface this brawler seemed like the fan-service answer to the age-old “who would win in a fight between” question of famous Nintendo mascots, it was actually much deeper than that. The first thing to admire was its combination of accessibility, depth and balance. Simple button presses combined with directional input gave you each character’s moveset, making it simple to learn systems and try out new fighters. 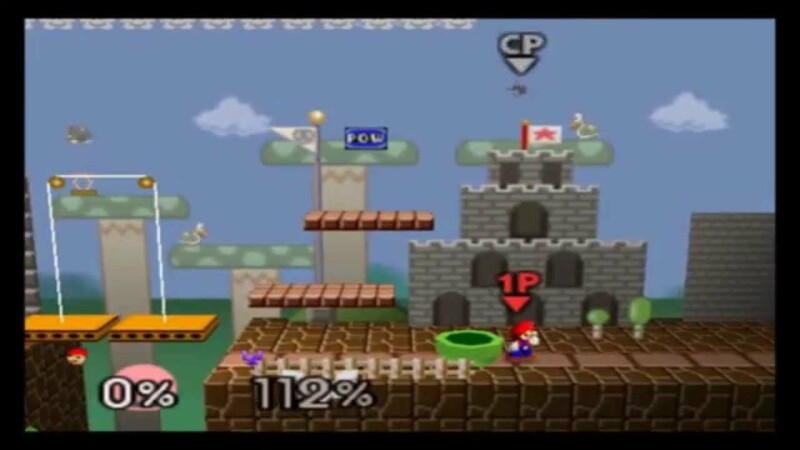 But each move was unique to a character, meaning the same inputs would provide different opportunities in a battle that you could master to your advantage. And despite all the variation in moves, and indeed damage and speed of each character, it never felt like there were weaker character options to choose from. Any fighter, with enough practice and skill, could take on another, and that just made things so much more interesting. Separating it from other fighting games was a % damage display at the bottom of the screen that would increase as you were hit, replacing a traditional life bar to be dwindled down. The idea being that the higher the % damage you had taken, the farther you could be flung with attacks. Should an opponent succeed in knocking you so far that you left the confines of the stage screen, then they scored a point. You always had options though, with the ability to double jump in mid-air to try and rescue yourself if you were flung too far, along with your up-B button move also likely to provide you with some extra aerial thrust, giving you every chance of getting back on the stage. It meant battles were different to anything I’d really played before, with traditional fighting mixed with more acrobatic strategies, and more manipulation of the stages you were fighting on. That final big hit might not be the end of the fight if the stage was kind, or someone had mastered their recovery moves. There was just much more drama than a top-of-the-screen health bar could offer. Throw in a smattering of items and Pokémon to spice things up a bit, and it’s fair to say things got a little chaotic, perhaps too much so for the fighting game purists, but that was the point. Super Smash Bros has always been about fun first and foremost – it is a Nintendo game after all – and it revels in the colourful carnage by never taking itself too seriously. The final boss of the single-player mode is a big, white hand for crying out loud, if you needed any further evidence that this is a wacky experience unlike anything else. And even twenty years ago, Nintendo had mastered the hidden character reveal and unlock. 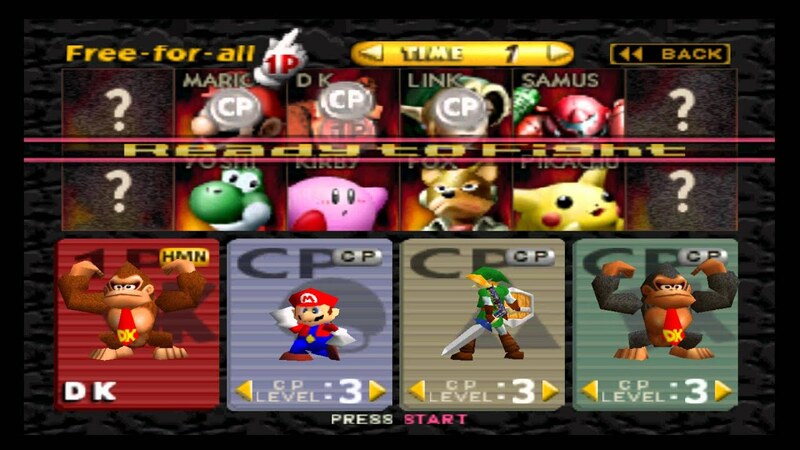 Back in the days of the N64 version, there were only 8 playable characters – the same 8 that are available right from the start in Super Smash Bros. Ultimate. Keeping things restrained back then though were only an additional four characters to unlock, but Nintendo were sly old dogs. The inclusion of sihouttes of the unlocked fighters in the opening video was a masterpiece – leading teenage me to try to guess beforehand which character from the Nintendo hall of fame would fit into each shape. And it meant I would persevere until all were unlocked, and then enjoy playing as them, mastering their unique quirks and fighting styles. And that nicely leads me on to what the Smash Bros. series has always been, something that started back with Super Smash Bros itself. It is a celebration of everything you love about Nintendo, whether it be the characters or the situations, the interactions or the worlds they inhabit. Everywhere you look in a Smash Bros. game there are little nods and references to (sometimes even obscure) parts of Nintendo’s gaming history, and it’s always a joy to notice the next one hidden away. But more so than that, the series becomes a showcase for everything you don’t yet know, the games and characters you haven’t played or experienced. So as I unlocked those four hidden characters in Super Smash Bros. that moment for me was when Ness appeared. Who the bloody hell is Ness? It was all I could do to get the monster from Scotland out of my head. A little digging revealed a game called Earthbound that was only released in Japan, until the WiiU (remember that?) virtual console finally afforded me the opportunity to play a game I’d been introduced to about fifteen years earlier. Since 1999 the franchise has grown bigger and bigger, with more and more people embracing it, and with more content packed into each iteration to enjoy. And as we enter 2019, with many of us still hammering away at Super Smash Bros. Ultimate, it seems a fitting moment to talk about the series’ roots. How one crazy idea that shouldn’t have worked turned into one of Nintendo’s largest franchises, and the biggest celebration of all the joy they’ve given us over the years. Thank you Nintendo, please never change.